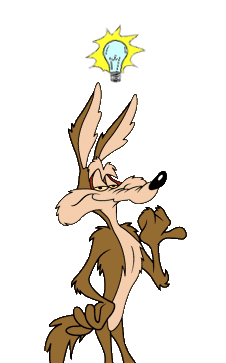 By some kind of divine cruelty I’ve ended up with the iPhone referred to in my article Apple iPhone 6s vs Samsung Galaxy S3 because my wife’s Motorola finally bit the dust and I felt obliged to rescue her by handing over my much revered Galaxy S3. This entire exchange wasn’t exactly pain-free though as it involved a new nano-sim card, a new micro-sim card, the hard-resetting of both phones and the syncing of our respective contacts, etc, over Google, iCloud and Whatsapp, which is where the fun began. 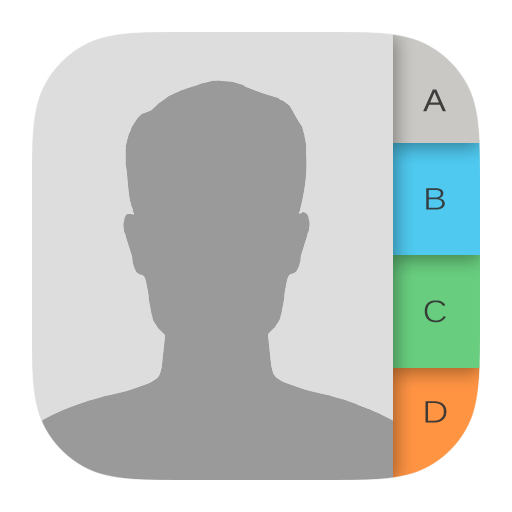 Moving on from the SIM card and phone number transfers (which requires a whole new article all by itself), the setting up of all my wife’s contacts and data on the Galaxy was a walk in the park, mainly because she was remaining in the Android universe. However, my migration from Android to Apple, although easy at first, later became somewhat challenging to say the least. I might add here that I’m averse to installing third-party apps that promise the world and then twist your arm later. 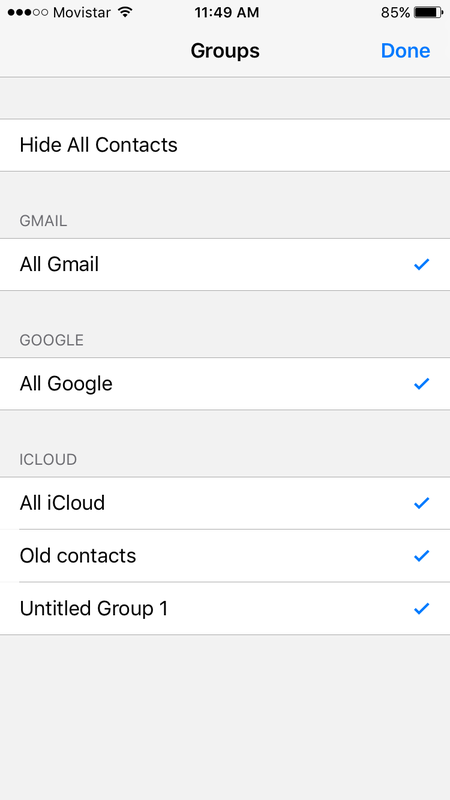 So, having reset the iPhone for the second time (old telephone number on new nano SIM card), I set up my previously registered Apple account, then my Google account and when prompted, ‘synced’ all my Gmail and Google contacts with the iPhone, foolishly thinking that all my previously saved Android contacts would ‘merge’ with iCloud when prompted and this is when I realised that IOS simply doesn’t bother with any semblance of ‘user-friendliness’, particularly on the handset. 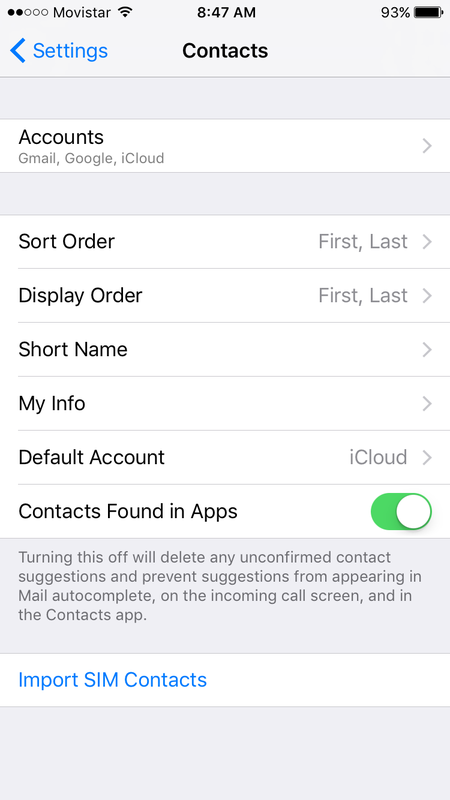 Through the most non-user-friendly interface I’ve ever seen, I had to perform a bizarre ritual even to make a modicum of progress to get my contacts to show in iCloud. One would assume that the contacts would automatically wing their way there, or there may be some easy way to import them either in iCloud or on the phone, but no such luck. 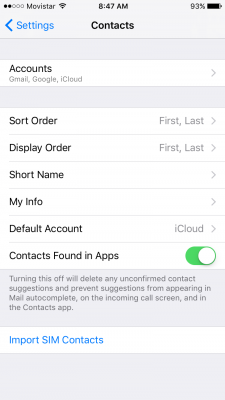 The contacts app is totally bereft of any options whatsoever, apart from selecting or deselecting groups, sort order and the selection of the default account, which one has to assume (because one has no other choice but to assume) is the syncing account when new contacts are added or some editing takes place. Still with me? 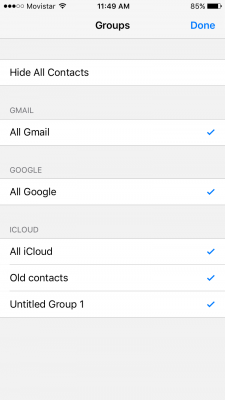 So, selecting iCloud as the default account means new contacts will presumably go to iCloud, but what about all my other contacts? This image would lead one to believe that contacts would all end up on the phone and hence into iCloud, but no. It doesn’t work like that because iCloud is an account in itself. 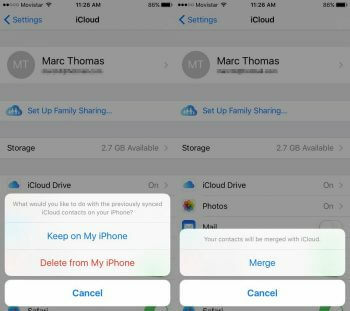 ‘Keep on my iPhone‘ is completely misleading as it implies that the contacts are in the damn phone, ergo in iCloud, which is not the case. 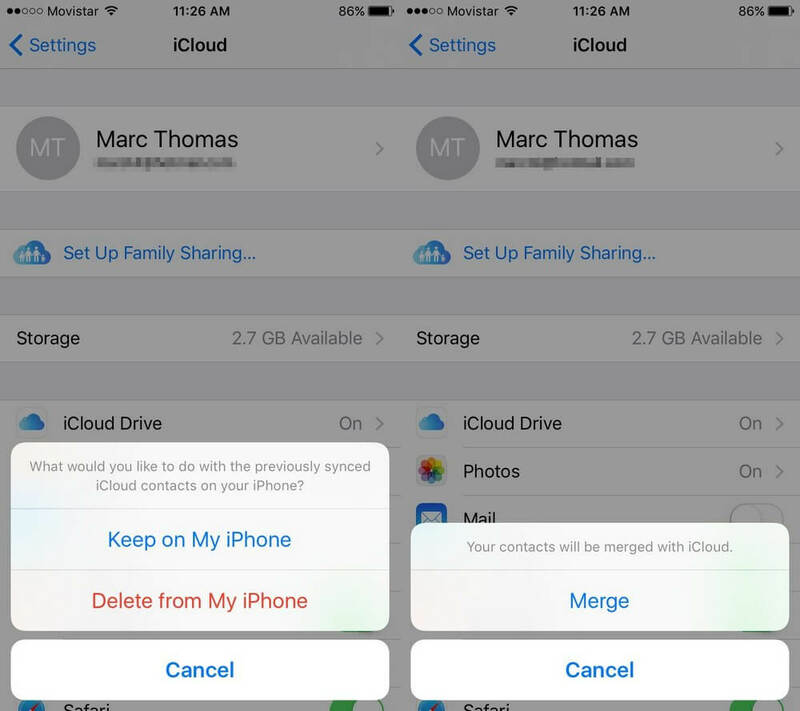 How to get them into iCloud then? That’s what I was asking myself and after countless Googles, I ended up figuring it out for myself, by opening up Google Contacts (contacts.google.com), clicking ‘more’ and then ‘export’ (in Old Google Contacts) which allows you to export all your contacts in one of three different formats as the picture below illustrates. 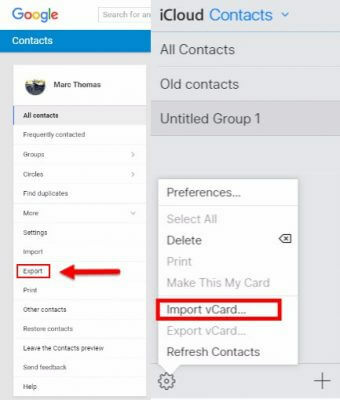 This vCard file I then saved to the desktop, went to iCloud yet again, created a new group which I called All Contacts and used the import vCard facility. So there we have it. 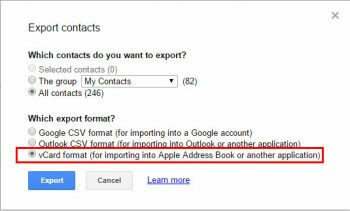 In order for your contacts from accounts such as Google, Yahoo and others to appear in iCloud, they need to be imported manually, which in itself is no big deal, but is far from clear in the scant options Apple offers in the iPhone itself. As far as my Whatsapp data is concerned, backup data from my Android account isn’t compatible with Apple, although there are apps that promise to manage the transfer pain-free. This is a question I ask myself frequently and the moment I find a buyer, I’ll be back to Android faster than a squirrel hoarding his nuts. Prev:Happy New Year from DCT!